The live-time.arrowkilltime is also affecting tridents can u please make a timer for those separately? EDIT - Also do these settings over-ride the spigot.yml item and arrow despawn rate settings? I tried adding modded items to the item filter list (such as Applied Energistics quartz crystal seeds and botania items like the Mana Plate) and they still get eaten by Clear Lag. I've tried adding their item ID's + data values (4361:* for all stages of growth, 4365:10 for a specific item), and I've also tried just the item ID with no data value to see if the data value was giving issues. None of them work. I'm trying to run it on a 1.7.10 modded server using the Feed The Beast: Infinity Evolved modpack. Another question, when you get this fixed what will the item format be? i.e. Will it be fixed for the latest 1.7 version aswell? Ah, had the same issue (1.13.2). Keep up the good work (10/10 stars)! With this new version will we have to delete our original config or will this new version automatically update existing configs? OMG its alive, thanks for update this essential plugin, regards. 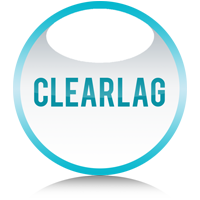 Clearlag v3 is released and pending review. hello i was just wondering what version would be best to install for a 1.7.10 Project ozone server? Hi there, when will come new update for 1.13? Soon. I've got a full-time job irl and am not associated with the Minecraft community anymore so I don't really allocate much time towards programming public plugins anymore. There goes the only viable antilag option ... And it's closed source. I wouldn't stop Clearlag development. The only development I'm probably done with is HawkEye due to the new magic-id system of newer minecraft versions.